Sarah Brewerton-Palmer is an associate with Caplan Cobb specializing in complex commercial litigation, media and communications law, and appellate matters. Sarah has handled cases involving a range of subjects, including contract and post-employment disputes, violations of the Georgia Open Records Act, compliance with federal communications regulations, and constitutional issues. 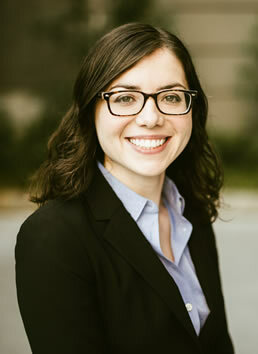 Sarah also maintains an active pro bono practice focused on media law and criminal matters, including representing the Undisclosed podcast before the Georgia Supreme Court in its suit to obtain recordings of a criminal murder trial and representing a Florida prisoner in a federal appeals court to challenge the constitutionality of his sentence. Before joining Caplan Cobb, Sarah served as a law clerk to the Honorable Jill Pryor of the Eleventh Circuit Court of Appeals in Atlanta. Prior to clerking, Sarah practiced with Jenner & Block in Chicago. Sarah has also volunteered her time as a law clerk to the Orleans Public Defender. "Sarah has a skill that all elite lawyers have: intellectual savvy. She has the uncanny ability to synthesize volumes of evidence and then connect it to the law in a way that will hold up on appeal." Complex Commercial Litigation. Sarah has experience in a variety of complex commercial matters, ranging from breach-of-contract disputes between large international corporations to post-employment disputes for small businesses and individuals. Media and Communications Law. Sarah maintains an active practice in media and communications law. She frequently represents news organizations in their efforts to obtain public records from governmental bodies. She also has experience with federal communications law, including advising multi-national corporations on compliance with those laws and representing a class of individuals in their suit to enforce communications regulations against one of the largest telecommunications providers in the country. Appellate Practice. Sarah has represented parties before the Fourth Circuit Court of Appeals, the Eleventh Circuit Court of Appeals, the Georgia Court of Appeals, and the Georgia Supreme Court in cases involving complex regulatory issues, major contract disputes, and open records laws. In her year as a clerk on the Eleventh Circuit, Sarah gained a deep understanding of federal appellate practice and became familiar with a wide range of federal statutory regimes and constitutional law.